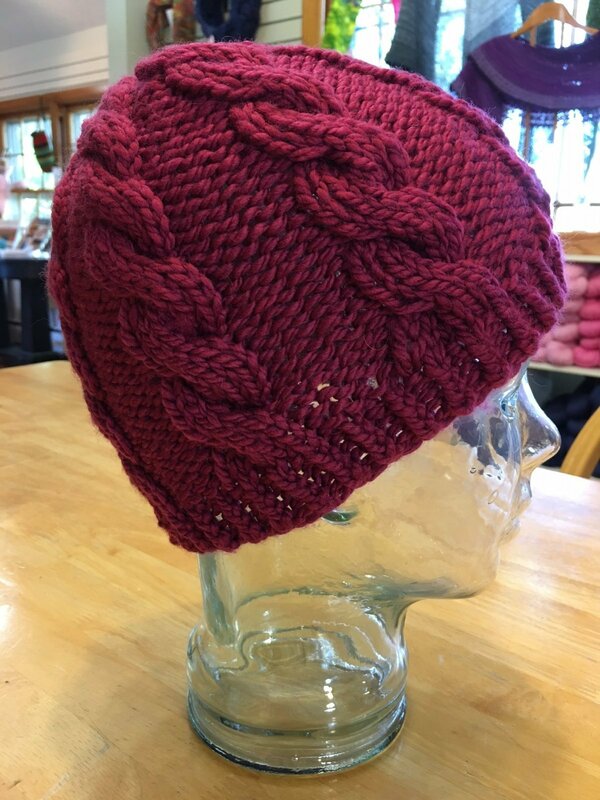 Learn to knit in the round using circular and double pointed needles. If you have never created cables before, we will show you how easy it is. Materials: 1 skein Cascade 128 or Malabrigo Mecha Yarn, US 10 1/2 and US 10 - 16” circular needles, US 10 double pointed needles, stitch markers, cable needle, and tapestry needle (Pompom maker or ready-made Pompom is optional). Pattern will be provided in class. Skill Level: Must be comfortable with cast on, knit and purl stitches.